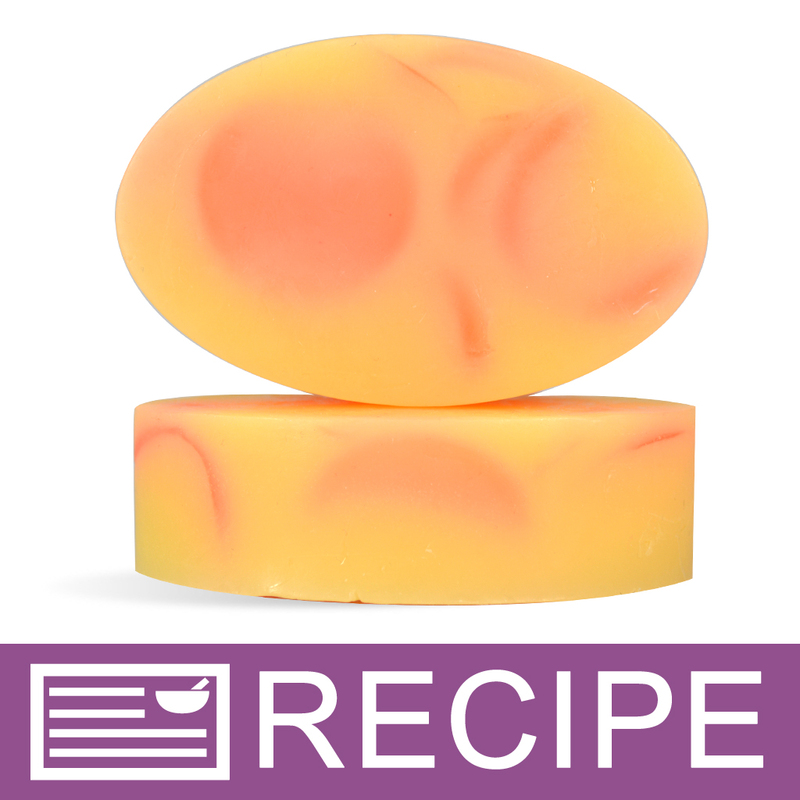 Create simple bars of soap with this classic oval soap mold. This is a staple mold for many soapmakers, and is suitable for natural bars of soap. Bar Cavities: 4 Bar Depth: 1"
Bar Length: 2.375" Bar Width: 3.875"
COMMENTS: I am new to soap making, but tried some melt & pour soaps and also used these for some larger lotion bars. I love that the mold is silicone and soft sided for easy popping out, but it also has nice edges and a good depth! COMMENTS: Love it gives a break from the square mold. COMMENTS: This is a super easy mold to unmold soap out of. I like that there is 4 per mold since similar sized mold sometimes only have 3 per mold. I also like that the silicone is so smooth that the soap also has a glossier finish. COMMENTS: ideal for men, a right size for men. COMMENTS: I used this mold for my pink ribbon kit. The soap came out smoothly. COMMENTS: I love this mold. A customer requested oval Soap and this is now my go to mold. COMMENTS: I love the uniform shape and size I get when I make my shampoo bars in these molds. The only thing I dislike is they can be a little hard to get out, because of the way the mold is made. COMMENTS: Great silicone oval molds for individual soaps. Great quality and size is perfect for a 4 plus oz bar of soap. I use them frequently. Makes for a quick molded soap. Carefree unmolding due to the excellent quality silicone. Highly recommend. "These are enjoyable to work with." "Great Mold, popular with customers"
COMMENTS: My customers love the shape and generous size of these bars. COMMENTS: This is a sturdy but bendable mold. It was easy to use and produced a nice shaped bar of soap. When the soap was hard, it popped out of the mold easily. COMMENTS: Strong molds that hold their shape well. Nice bars. COMMENTS: Perfect size for what I needed. Easy to get my soaps out of! COMMENTS: Silcone molds are great. Very easy to work. Holds up for multi use. COMMENTS: Just what I needed to put loofah in, previously sliced up. The size is perfect for this and the shape is the shape of the loofah. I had tried round and they were a bit small and the loofah is more oval so this mold, its size, sturdiness, depth and everything cannot be improved on for the use I have for it. COMMENTS: I love this mold. It produces an oval bar that is smooth and fits well in your hand. I first tried a smaller, rectangular mold, but was more satisfied with the oval 5 oz. mold. COMMENTS: I purchased these do to the reviews and thought they would be easier than the plastic molds I used before but found it to be more difficult. I'll try again with my next batch of soap but for my 1st 4 bars I made for an order, I struggled getting the soaps out the mold which caused dents in the soap itself which was very frustrating and wasteful. I'm not sure if there's a certain method that I'm not aware of but it didn't work for me at all. Very disappointed. WSP Response: Silicone molds do take a bit of time to learn how to use. Simply pull the sides away to create an air "unlock" and the soap comes right out. This is an incredibly popular mold and with a little practice I am sure you will love it. Hope this helps! 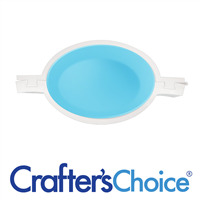 "Crafters Choice™ Oval Basic Silicone Mold 1606"
COMMENTS: My "go to" mold for small batches and left over soap from other pours. Makes a great size bar and is easy to handle. Also a good bar for using the water soluable paper. Makes great favors for kids theme parties. "Produces an ideal size soap bar"
COMMENTS: I started making soaps a few days back and this was the first silicone Mold I purchased and I'm so glad I got it! The first batch of soap I made was in a regular plastic container and it was a horror! After an hour of struggle, cutting the container in tiny pieces and scrapping my fingers, my soap looked pretty deformed. Then I ordered this silicone Mold after reading one of the recipes mentioned on WholesaleSuppliesPlus and I'm so glad I did it! This Mold is wonderful! It produces a perfect sized soap bar that comes out so easily and it absolutely the right size to hold in hand. While pouring my soap I did not fill this Mold to top (around three-forth way) as I wasn't looking for too thick soap and it produced just the size I wanted. The White color and the translucent nature of the Mold helps an armature like me to see how much thick my final soap is going to be. Definitely going to buy more of these molds in the future. "Couldn't make my soaps without it"
COMMENTS: This mold is the perfect shape and size that I like. This mold is easy to remove the soaps from and its easy to clean up. COMMENTS: I love the color, transparent, so one can see underneath without guessing. The ease of use, strong sides, soap just slides out, no more pulling, pushing and almost breaking fingers and hand trying to get it out the plastic. Soap comes out beautiful without the holes from that dreadful white plastic one. Love my silicone molds! "Makes a nice big bar"
COMMENTS: I've been looking for an oval mold that would give me a bar over 4 ounces. This is it! Great shape and size. Soap released easily. "My New Lotion Bar Mold"
COMMENTS: I use this mold for my lotion bars and I love the fact that the mold holds it's shape well and is very sturdy, cleans up easy and the bars fall right out of the mold. COMMENTS: This is the mold I've been looking for! I have another oval mold, but even with using sodium lactate & waiting a week, the soap wouldn't come out easily. Because this mold is so flexible, I was able to unmold after just 2 days & no sodium lactate!! I will buy a couple more for sure! • 4 bar size is perfect for small batches! • Soap comes out easily, super shiny! "Perfect size to sell soap bars"
COMMENTS: The soaps come out shiny and a wonderful shape. My only issue is that they are a little troublesome to pop out at times, but still the best molds I've used so far. COMMENTS: I liked the oval shape and the larger bar that it makes. Great sized bath bar! I like working with silicone molds as they last almost indefinitely with proper use and soap are easily unmolded. This soap mold is large enough to embed small toys. I'm using this mold for molding a clear cast soap colored with a small amount of orange, embedding plastic spiders and using the black glitter for effect. A non-sweet treat for everyone! COMMENTS: I love this mold for the finished product. The bars are 5-5.3 ounce, this is a nice size for bath bars. Thanks again for a great product. COMMENTS: This mold produces a beautiful, professional looking finished product, and the soap pops right out with no trouble. I'll be getting a couple more of these! "Great size, provides a beautiful shine"
COMMENTS: I love the size and look of the finished bars. This produce provides a bath sized bar of soap with plenty of room for embedding objects. It also gives a nice shine to the finished product. COMMENTS: These are the best molds that I have ever used. I have spend hundreds of dollars on different molds but, these are by far the best molds I have ever used. The molds hold their shape and are pretty easy to un-mold. I will always buy my molds from WSP! You can't go wrong with these. COMMENTS: This mold makes large (5 oz.) bars of soap. I love silicone molds! I had no trouble unmolding melt and pour soap. COMMENTS: Makes large family size soap the last for a long time!!! COMMENTS: I just can't say enough about this mold. It turned out 4 beautiful, big, and perfect oval bars of soap. I made m&p soap in them. They easily came out of the mold and really look professional. COMMENTS: This silicone mold works great for my M&P soaps, it releases them with ease. No freezing required and they very flexible. I liked the all blue ones better though. COMMENTS: I like the idea of this mold and it is at a good price. I used this for extra soap when making a custom order of heart soaps. The hearts all came out perfect but all of the soaps from this mold fell apart during unmolding... They don't make a perfect oval and the soap tends to stick the mold around the edges. WSP Response: With CP Soap we found that it may need extra cure time to cleanly unmold. "Perfect mold for larger bars"
COMMENTS: This is the perfect mold for larger bars. The oval shape still fits in the hand well even though the bars are well over 5 ounces. Great silicone release, too. 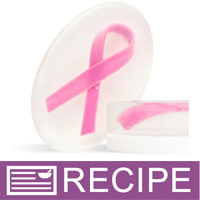 COMMENTS: Crafter's Choice silicone molds are so easy to use. No more struggling trying to unmold soaps. "Crafter's Choice Molds are the best." COMMENTS: Hands down I will never have any other silicone molds! I have come to love my mold from WSP. They do not seem to hold scent like other molds I have tried! Thanks! "I just got these molds and i do like them , but when i made the salt spa bars cp soap the bottom of the soap crumble a little around edges, In one of the soap answers someone said to spray them , with what ? " 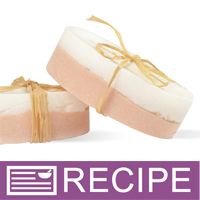 Staff Answer When making CP Soap: Spray or grease mold before use. This will help make unmolding easier. May also need to keep soap in mold for at least 24 hours before unmolding. "What is the difference between the Basic and the Classic Oval molds? They look the same to me and are the same price. Is there an advantage of one over the other?" Staff Answer There is an embossed edge on all of the classic silicone molds. I will pass along your question to our company photographer so that we can improve our images to show the difference. Thank you!! The Oval Classic Mold has an embossed edge, but the Oval Basic Mold has a smooth edge. You can see this difference if you click on the product details and scroll through the product photos.